Image used under Flickr Creative Commons license from Janet McKnight. 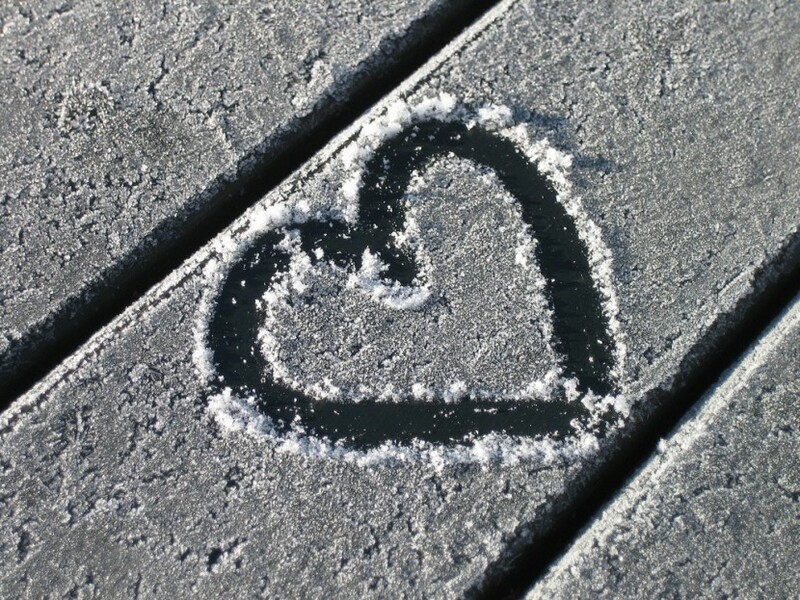 It might be a frosty February up North, but it’s love we’re feeling in the air right now. Valentine’s Day is just around the corner and we find Alaska’s incredible scenery to be very conducive to romance. We’ll save you some time spent deliberating what to do with this insider’s list of a few of our favorite romantic activities in the Last Frontier. For the people that prefer their love on the go, what’s more romantic than a Valentine’s Day race? Lace up your running shoes and bundle up for the 5K Valentine’s Day Chocolate Run in downtown Anchorage. Sign up as a team with your sweetheart or choose a green bib to let other racers know that you’re single and ready to mingle. Who knows, by the time the race is run you might have a dinner date! At the very least, all participants go home with a new winter scarf and some truffles from Modern Dwellers Chocolate Lounge; sounds to us like a total win! If you’re not feeling especially active, consider spending a part of your evening admiring some natural beauty, free of charge. Point Woronzof, also in Anchorage, is a popular destination for romantic sunsets and there’s always the possibility of a little wildlife viewing to boot. It’s just as beautiful sitting outside on one of the benches on the bluff as it is from the warmth of your car. Crank the Al Green and enjoy the view! There’s even more romance to be had outside of the big city. Take the Seward Highway and start heading south along Turnagain Arm and on to the Kenai Peninsula (one of the most gorgeous drives in the world) for a scenic road trip. Drive all the way to Seward or take your time and detour to charming places like Girdwood, Portage Glacier, Kenai or Hope for a romantic overnight getaway. There’s something inherently romantic about the northern lights, and we can’t think of a better way to view them than during a relaxing dip in Chena Hot Springs. The farther north and closer to the Arctic Circle you travel, the better your chances are of seeing a brilliant northern lights display. Spend a winter evening soaking in its healing mineral waters, followed by a nightcap at Fairbanks’ own Hoodoo Brewing Co. We hear they serve tacos on Saturdays! Whether you’re staying in or charting out an adventure, we can guarantee that a Valentine’s Day spent in Last Frontier will only be the beginning of your love affair with Alaska.